Hotwheels 1994 Ferrari F355 GTS Scale Model 1/43. 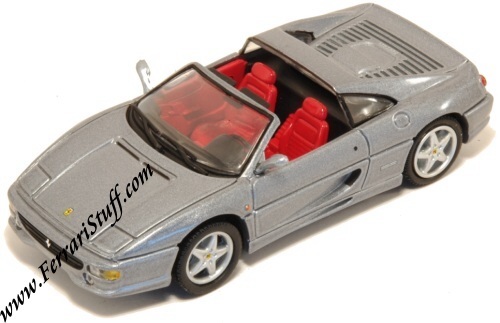 This is a 1/43rd scale diecast model of a 1994 Ferrari 355 GTS in Gun Metal Metallic. Long obsolete at Hotwheels / Mattel!